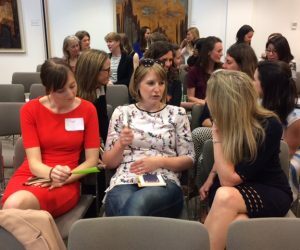 Looking for a way to grow your network, access mutual support and learn from other women working across the sustainability sectors? Then our Women in Sustainability Network Hubs are just for you! Our Network Hubs are for women, and those identifying as being female, whose work focuses in some way on building a greener, healthier or happier world, at all levels and sectors. You’ll come away with inspiration, energy and new insights about your own situation, as well as strategies and tactics that supports your personal and professional development. 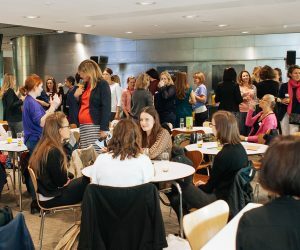 You will have the opportunity to meet and network with other like-minded women working in sustainability, growing vital connections that enhance your effectiveness and career progression. Coming hot on the heels of Glasgow, we are delighted to be bringing the Women in Sustainability Network further into Scotland with this new Network Hub for Aberdeen. We are currently working with the wonderful Lola Okunrinboye, our WINS Aberdeen..
Bristol is our longest running Network Hub and our events continue to see a wide range of women coming together for a boost of inspiration, practical help and real connection. That range includes all levels of the career ladder to..
At last the Women in Sustainability Network is coming to Scotland, with our first Hub in Glasgow. 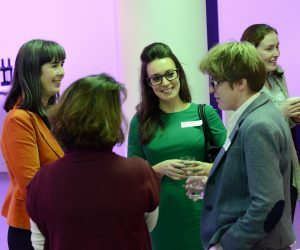 Our first event is now planned for 2nd May and Katy Murdoch, our fabulous WINS Glasgow Lead, is continuing to identify other host..
WINS London draws in many talented women from the widest variety of sectors, businesses and organisations. Kindly supported by many organisations, this allows WINS London to offer events at different locations across the city. 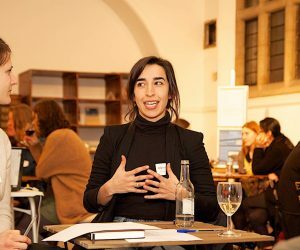 WINS London events are very popular,..
WINS Manchester offers a different, but most welcome, approach to stepping outside of your silo and meeting other smart, values-led female change makers. We are delighted to welcome Zoe Cohen as our new Hub lead and facilitator for Manchester (read..
Make time to attend WINS Newcastle Hub events and you’re in for a real treat! 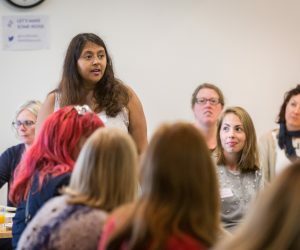 Not only will you access real nuggets of information and expertise that will nurture your personal and professional growth, but you’ll come away inspired, with..
WINS Oxford brings together an intelligent, forward thinking group of women who are providing vital mutual support and inspiration for each other. 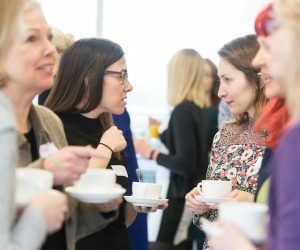 Whether you are a regular attendee or just ‘testing’ the networking waters, come and enjoy the unique ‘Women..
We’re coming to the West Midlands! Would you like to see a Women in Sustainability Hub get established here? After successfully getting our Manchester Hub up and running, Claire Nicoll is now exploring whether there is sufficient interest in creating..
We are looking to grow more Hubs across the UK (and globally), so if there isn’t one near you right now, don’t despair! Sign up below to be on our mailing list so we can see where there is interest for a new Hub, and if you fancy joining the team and running a fantastic part-time business that serves this community, get in touch.